Braverymob - Affiliate CPA network reviews and details. 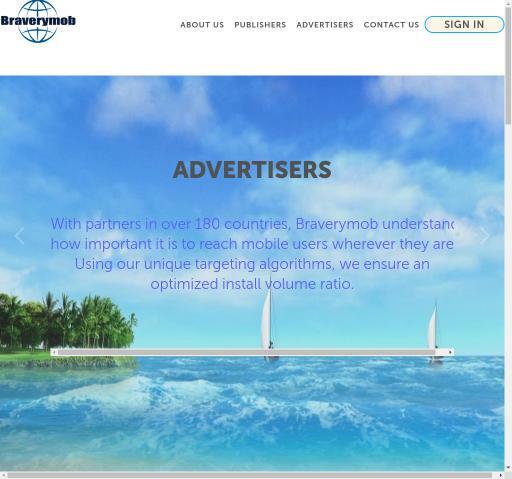 Braverymob is an online affiliate program recently acquiring quite great reputation in China. With the target of reducing the cost while promoting your campaign effectively, our desire is to satisfy advertisers and publishers who we consider our friends. Our detailed reporting, effective account management, and accurate targeting will satisfy any meticulous customer. To do that, we use demographic, geographic, device, browser targeting options to create an optimized install volume ratio. Now we already achieved an international reach of over 180 countries, so your brand can be quickly spread worldwide while using our affiliate network. As you never need to pay for the results not non-converting ads, we will save you a vast sum of money. Monetize your traffic now with Braverymob! You can check Braverymob reviews and Offers on Affbank and ask Braverymob Team any question by using the contacts above, especially about how to earn money! For registration in the Braverymob Network - click on Join Now!